Infrared detectors allow humans view the heat an object gives off. The detectors find use in many human endeavors, from military actions to data collection from satellites. Infrared technology allows humans to view wavelengths of light invisible to the human eye, giving users more information at the expense of color and the ability to distinguish similarly warm objects from each other. 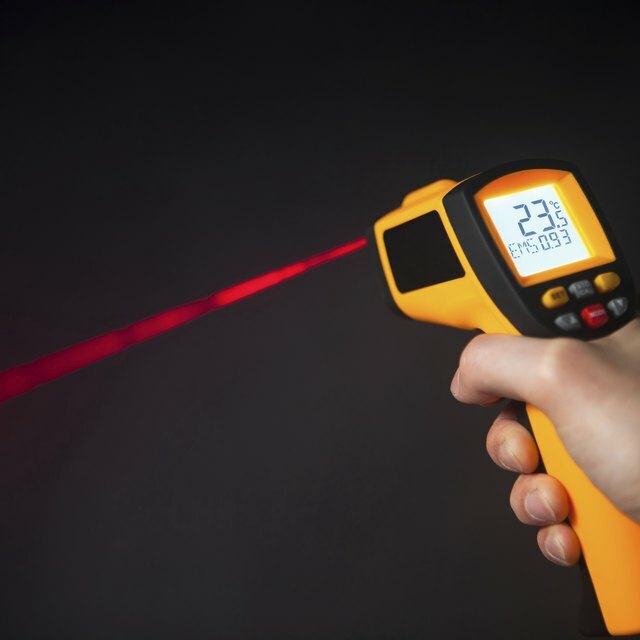 Scientist William Herschel discovered infrared radiation in the 1800s after experimenting with a thermometer, though the technology has grown significantly more sophisticated since then. Infrared sensors can pick up wavelengths normally invisible to the human eye, like heat radiation, which can be useful when trying to determine the temperature of an object, or when trying to see something invisible. That said, they cannot pick up on colors, and it can be hard to distinguish between different objects in their field of sight when they are near together and at a similar temperature. How Do Infrared Sensors Work? Like visible light, infrared radiation has a distinct set of wavelengths, though infrared radiation cannot be seen by a naked human eye. All objects above absolute zero emit infrared radiation, tied to the surface temperature of the object. To detect infrared energy, scientists create specialized lenses using a variety of materials like quartz, sapphire and silicon, and mirrors made of other materials like aluminum and gold, each material corresponding to a specific infrared wavelength. If a temperature is hot enough, though, the object can also release visible light. Different sensors pick up the infrared data, depending on the technology used. This process can, then, show the relative heats of objects within the detector's (a camera, for instance) field of vision. The technology can then turn it into a photo or a video, or represent it in real-time. The practice of thermography uses high-powered infrared sensors to determine the absolute temperature of an object. As infrared scanners can observe objects without using light, they find use in numerous situations. Firefighters can use them in smoky, usually on-fire, scenarios where traditional visibility is impossible. Scientists can use powerful infrared sensors to detect interstellar objects. Similarly, the detectors can pick up on things that humans cannot see, like invisible gas escaping from pipes. They can also "see" through different substances, assuming the scanner is powerful enough or the wall, for example, is thin enough. Somewhat ironically, one of the strengths of infrared scanning technology also causes a weakness. Because they do not use visible light, infrared scanners can't produce an image that shows color (other than the colors chosen to represent different heats). Similarly, this technology cannot distinguish between objects that are near to or obscuring each other when they are of similar heats. Carnegie Mellon University: What Is an IR Sensor? Xenics: What Are Infrared Detectors? Johnson, Doug. "Advantages & Disadvantages of Infrared Detectors." Sciencing, https://sciencing.com/advantages-disadvantages-infrared-detectors-6151444.html. 28 April 2018.